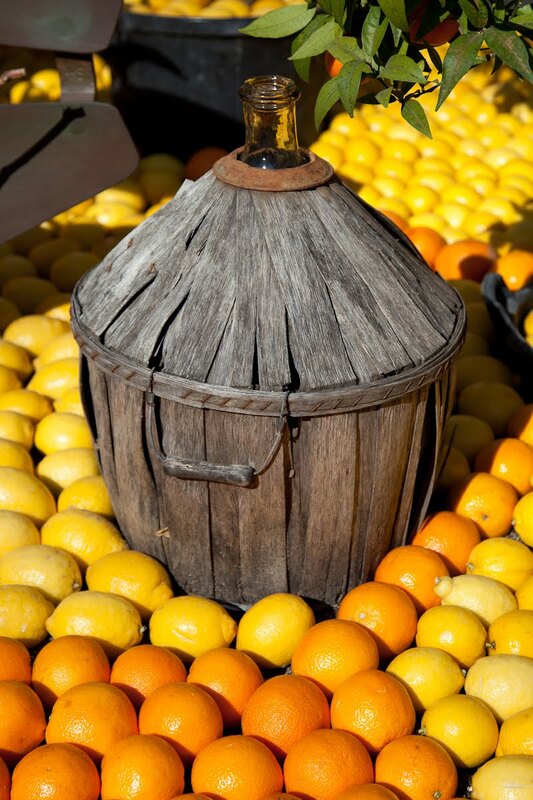 It's not only the famous lemon of Menton that is revered at the Fête du Citron. 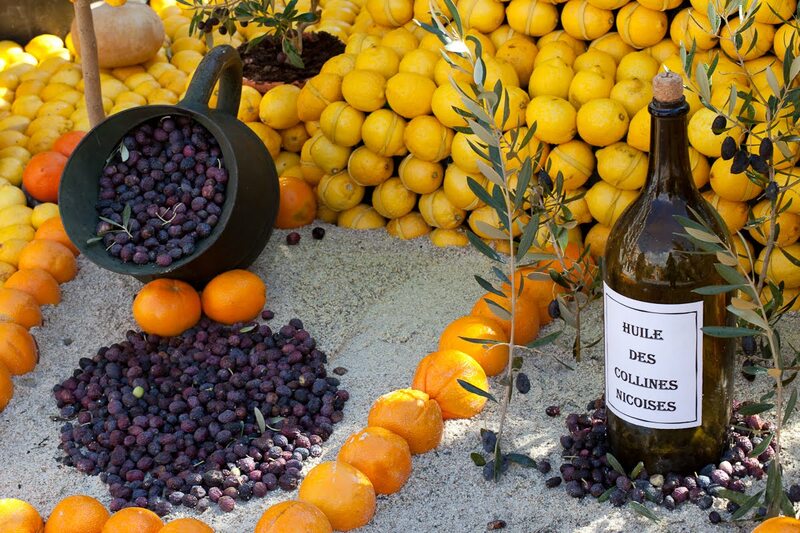 Here is olive oil from the hills around Nice. Ce n'est pas seulement le célèbre citron de Menton qui est à l'honneur à la Fête du Citron. Voici l'huile d'olive des collines autour de Nice. So much juice in one place. What do they end up doing with all of it when the even is over? I have not been able to get into City Daily Photo for the past two days. There is nothing there. Blank. Nobody is showing up. Have you tried logging into CDP? The olive tree makes an appearance in the most significant Grecian mythological stories, including the naming of Athens. In this mythological tale, Athena and Poseidon battled for who would become the patron saint of the eminent city. Each was asked to present a gift to the city and the one who offered the gift deemed to be of greatest value would emerge victorious. Poseidon offered the citizens a water spring, whereas Athena struck the ground at the Acropolis, and on impact an olive tree sprouted. The goddess triumphed, and the city was named Athens in her honor. the oil that keeps humanity happy. this looks like liquid gold as well it should. I am always searching for really, really good olive oil, and this looks like I've found it! 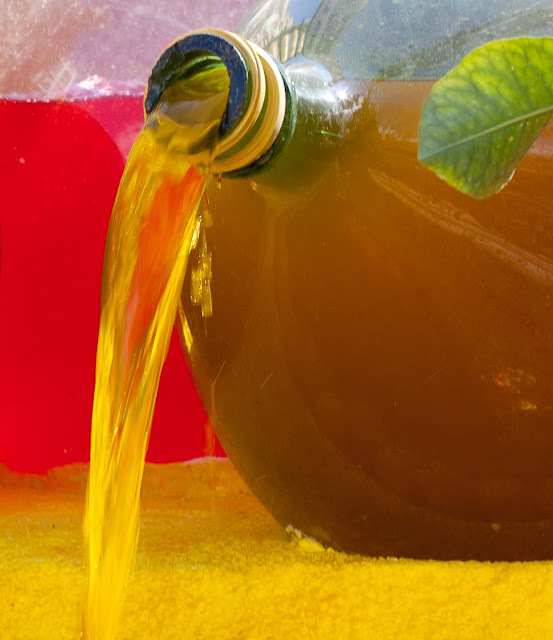 It is indeed "liquid gold." This is gorgeous, Jilly! I love the colors and imagining the process. I'd love to get my hands on a large bottle of that oil Jilly. Hmmm...more cooking! Ooooooohhhhh! That olive oil looks delicious! The color of this olive oil is incredible! Bottled sun. Got to get me some of it! So much beauty. Gorgeous photos and colors! Have a great day. That top photo is esp. brilliant!